ST. LUCIE COUNTY, FL — In a live broadcast from Lincoln Park Academy on Saturday, February 9, 2019, St. Lucie Public Schools (SLPS) and the Education Foundation of St. Lucie County announced this year’s line-up of educational superstars. Makeda-Ione Brome took top honors as St. Lucie County’s Teacher of the Year. She is an instructional mathematics coach at Fort Pierce Westwood High School. Joining her on the stage during the Night of the Stars gala were School Related Employee of the Year Dorothy Hall from Chester A. Moore Elementary School, Distinguished Minority Educator of the Year Sabrina Faniel from West Gate K-8 School, and Outstanding First Year Teacher Emily Utts from Fort Pierce Central High School. Teacher of the Year Brome attributes her inspiration to her students and her colleagues. Everything she does is because she wants to serve others and see them experience success in all aspects of their lives. She takes to heart the fact that students must learn and retain required mathematics to be successful in the next course, in college, and beyond. “Students cannot be successful without first empowering teachers to be successful,” said Brome. Based on that belief, she uses a variety of teaching styles and instructional tools in her coaching role to help others learn new concepts. She is inspired to be the best she can be so that she, in turn, can help others realize the potential within them to become the best versions of themselves. Education Foundation President Thom Jones considers the Night of the Stars a highlight each year. “Honoring our teachers and support staff for the work they do each day for our students is central to The Education Foundation’s mission which is to recognize excellence in education and support teacher development.” Jones also points out that the corporate sponsors such as the event’s grand benefactor PNC Bank are just as focused on the mission. MIDFLORIDA Credit Union sponsors the Teacher of the Year and Herff Jones honors the winner with a commemorative ring. Remnant Construction sponsors the School Related Employee of the Year, Keiser University sponsors the Distinguished Minority Educator of the Year, and Seacoast Bank sponsors The Outstanding First Year Teacher. Jones also offered a special thank you to the many other event sponsors. St. Lucie County’s Teacher of the Year and School Related Employee of the Year will now move on to the state level competition. In the category of Teacher of the Year, the State has a long-standing tradition that recognizes and honors the contributions of outstanding classroom teachers who have demonstrated a superior capacity to inspire a love of learning in students of all backgrounds and abilities. 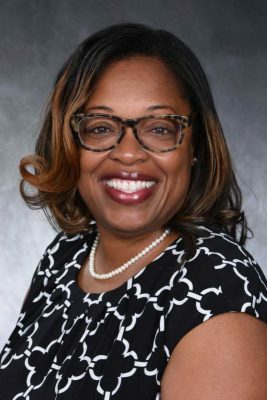 The state finalist for The Florida Teacher of the Year also serves as the Christa McAuliffe Ambassador for Education and represents the Florida Department of Education and teachers throughout the state. Makeda-Ione Brome is an instructional mathematics coach at Fort Pierce Westwood High School where she dedicates herself to supporting teachers and students. She models best practices in classrooms, leads collaborative planning sessions, tutors students, and leads Algebra 1 and Geometry Boot Camps for students before and after school. Her expertise in a wide array of mathematics practices and keen ability to share this knowledge with others makes this energetic educator a leader among her peers. At the District, Ms. Brome is a Teacher Leader who stands out as a professional development facilitator, and at the State level, she is a Florida Department of Education Math Content Specialist selected to review and revise Florida’s certification and professional exams. Dorothy Hall is a key individual at CAM. As a paraprofessional, she works very closely with the faculty, staff, and students. In the two years she has served in this role, she has proven herself to be committed and compassionate. 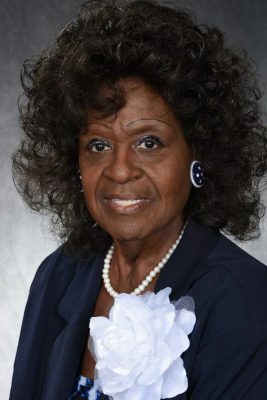 Hall has many duties and responsibilities including assisting with classroom activities, providing one-on-one tutorials, and supporting activities on campus. However, she spreads her influence by contributing to the 21st Century Afterschool Program and the community by serving as a mentor to a group of girls ranging in age from 5 to 18. She also dedicates time to volunteer in Sarah’s Kitchen as a means of helping to feed and clothe individuals in need. As a 22-year veteran educator, Sabrina Faniel currently serves as a first-grade teacher at West Gate K-8 School. She infuses her keen instructional skills with a variety of teaching methods to address the developmental needs of all students and to engage them in learning. 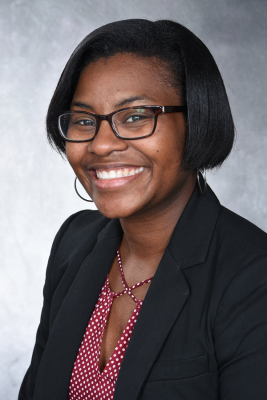 She exercises collaborative practices with her students as well as with her colleagues, and one of her greatest strengths is her ability to interact positively with students and staff alike – a key component that makes her an outstanding campus leader. Emily Utts is a 10th-grade intensive reading teacher at Fort Pierce Central High School. She exercises her ingenuity to develop meaningful lessons for her students that build cross curricular connections and blend technology into the design. 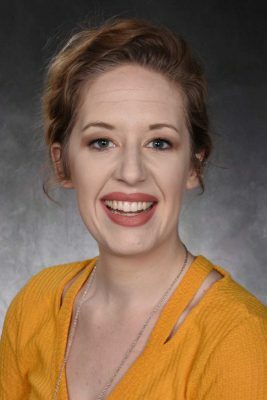 She supports the positive growth of her students who use their critical thinking and reading skills to make connections with the classics, world history, life science, and other aspects of academics. She applies her enthusiasm for helping students by serving as a sponsor for both the National Honor Society and Student Government on the high school’s campus. St. Lucie Public Schools (SLPS) proudly serves students with a graduation rate of 91.8 percent. As a B rated District, there are no failing schools, and SLPS ranks among the top one-third of Florida’s districts for student achievement. The District also has the distinction of being recognized as one of St. Lucie County’s Best Places to Work. The mission of SLPS is to ensure all students graduate from safe and caring schools equipped with the knowledge, skills and desire to succeed. Connect with us on Facebook, LinkedIn, and Twitter, or visit http://www.stlucieschools.org.